Explore bustling cities, exquisite UNESCO World Heritage sites and blissful beaches in South India on this leisurely journey. Begin the Hyderabad – the city of Nawabs is also for its monuments, pearls and delicious cuisine. 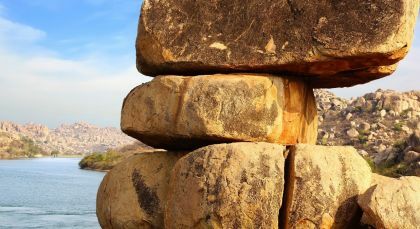 In Hampi, discover ancient rock cut temples and in Chikmagalur, relax amid verdant valleys and rolling hills while you sip on some of the world’s best coffee! The city of Mysore is steeped in ancient legend while Goa offers bohemian charm and beautiful beaches galore. End your tour in historic Mumbai, soaking in the bustle and rhythm of the maximum city. Hyderabad is known as the City of Pearls, given it has been a trading point for jewels within its many intriguing bazaars for centuries. Visit imposing landmarks like the Charminar; the Mecca Masjid -one of South India’s oldest mosques; view exquisite art and antiques at the Salar Jung Museum; watch as ‘bidri’ artists go about their craft in the many pearl shops; stroll through bazaars; shop for pearls and ‘bidri’ jewelry; try the sinfully delicious Hyderabadi food! Hampi is so mystical with its boulder-strewn landscapes that you might feel like you’ve landed on the moon! 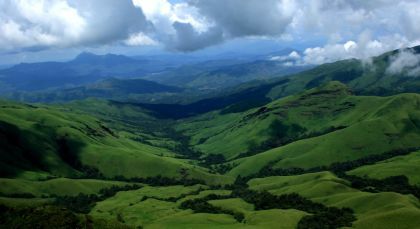 Chikmagalur is a captivating natural canvas nestled in the Baba Budan Hills within the Western Ghats, best known as the life-giving spine of India. Cast your cares aside at beautiful Chikmagalur! Enjoy invigorating strolls and treks through rugged mountain trails, verdant coffee plantations and past rolling hills, as the rest of the world fades away in the distance. Guided by experts, let your nature walks also be an inspiring insight into local life, as this sleepy town’s economy exists on its natural wealth. Discover information about various species of indigenous trees and wildlife and spend your time looking for exotic birds and large butterflies as they flitter through tree tops. If you are lucky, the night skies may even be lit up by fireflies! Visit Belur and Halebid, famous for their beautifully carved, ancient temples dating back to the 12th and 13th centuries. 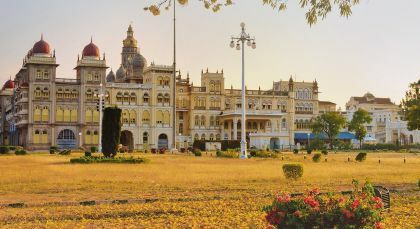 Mysore provides you with an opportunity to step back in time into a world of regal opulence, and is often described as the City of Palaces. Discover Tipu Sultan’s historic city! En route to Mysore, embark on a tour of Srirangapatna, which was once the historic capital of a powerful empire and dates back to around 9th century The island fortress town offers plenty of attractions for history buffs, from temples and mosques, to palaces and cenotaphs (tombs). 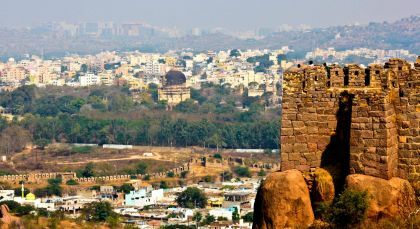 Explore the exquisite three-layered stone wall of the fort with its bastions and gates, which protected the rulers from many an invasion and is still an emblem of a glorious bygone era. Stop by the banks of Cauvery River and witness stunning views of the natural landscape. 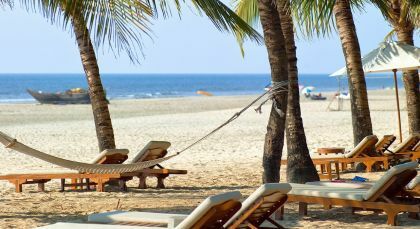 Goa’s legendary allure is its white sandy beaches and glittering blue seas. Mumbai, formerly known as Bombay during British colonial rule, has welcomed travelers from around the world for centuries. 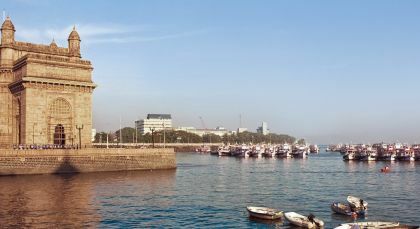 Venture to the waterfront and witness the historic Gateway of India, built during the British rule. Drive by the world’s most expensive real estate along Marine Drive, also known as the Queen’s Necklace, as the streetlights resemble a string of pearls at night. Discover the plethora of colonial architecture including the High Court, Mumbai University, Flora Fountain, Asiatic Library, Prince of Wales Museum, Municipal Corporation Building and the fascinating, fully-functioning Victoria Terminus Railway Station. Whilst the building is closed to the public, you can glimpse the Parsi Tower of Silence with its circling vultures. Unwind amidst the topiary of the Hanging Gardens, or in Kamala Nehru Park and Horniman Circle. Learn more about Mahatma Gandhi at Mani Bhavan, a museum and reference library. (Duration 4 hours).